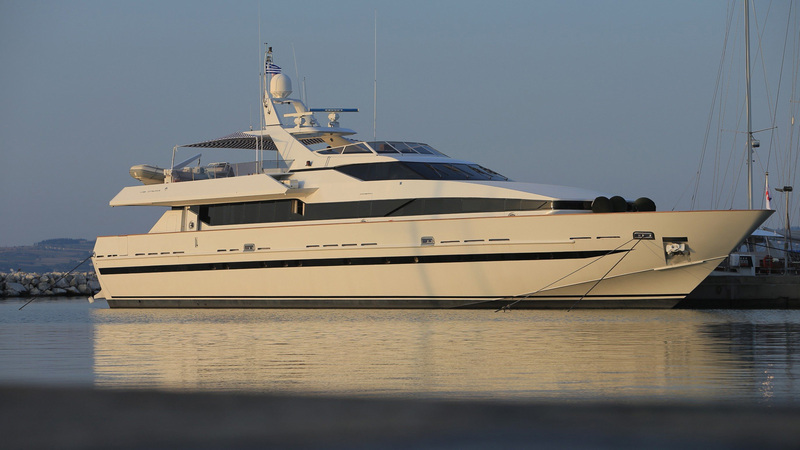 Built in Italy by Baglietto in 1988 and designed by Stefano Righini, she boasts sleek lines and high-quality construction work. Captain Z is able to welcome up to eight guests in four ensuite cabins, with five crew, and her accommodation includes the large master, two doubles and a twin. All guest spaces have been tastefully furnished, featuring timeless styling and a light colour palette with nautical touches.